The only multi-directional open interoperability platform that can help health and care organisations build towards a full shared care record at pace. What is a Presentation Layer? The Presentation Layer offers multiple users, across a range of services, a bespoke view of all available information about a patient. It supports the requirement to write-back to the source systems based on user RBAC status. This covers all clinicians, patients, social care and healthcare users. Based on over 10 years of integration expertise and experience, the Viper360 Presentation Layer has been built to allow multiple users (clinicians, users and patients) to view, review and write back into multiple IT systems in real-time. How is the Presentation Layer different to a portal? A portal, such as a patient portal, offers patient centric visibility of their data which they can consent to being viewed by many clinicians. Information is managed and shared through a single-to-many relationship. The Viper360 Presentation Layer goes further. It is a fundamentally a tool for care professionals that can be scaled to include patient interaction. In short, it offers a broader many-to-many relationship to patient data allowing conditions for professionals to interact in real-time. What can ReStart's Presentation Layer do for you? No need for Rip and Replace. Save money by realising the full potential of existing systems. Incremental spending providing early return on investment. Cash releasing benefits can fund future developments. Working in a mutually rewarding partnership. 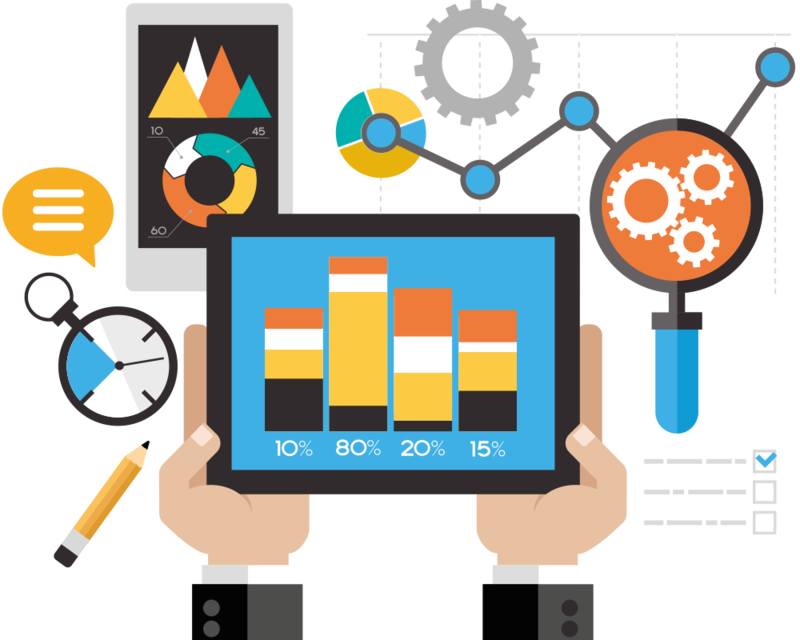 Presenting users with a tailored view of available / relevant data at the point of care. 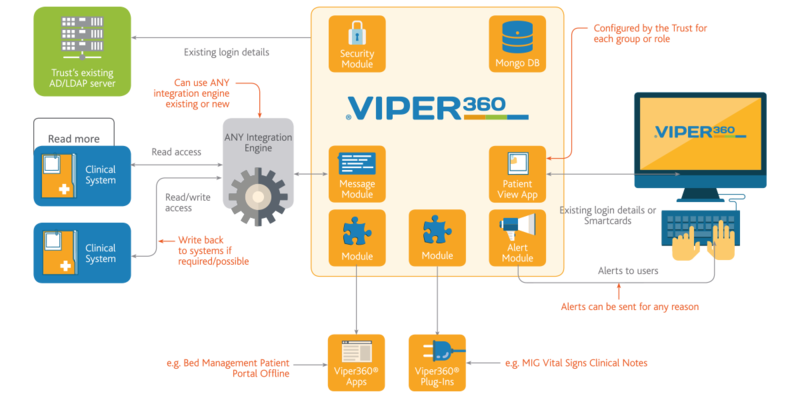 The Viper360® framework is fully modular and is comprised of a suite of applications and plug-in enhancements that enable a building-block approach to meeting specific organisational or health economy requirements. Mr Brown (85) has a thirty-year history of Chronic Obstructive Pulmonary Disease (COPD). One evening he is having difficulty getting his breath due to the cold misty weather coupled with the fact that he had to walk to the shop for milk. He dials 111 and after a breathless conversation an ambulance is sent to his home. On arrival the ambulance crew are unable to get a medical history from Mr Brown, they check his blood O2 level and his respiration. Based on these results they sedate and ventilate him. He is taken to the local acute trust and after four days, he dies still ventilated as weaning has proved impossible. If the attending ambulance crew had been able to access his medical record (via the Viper360 Presentation Layer) they would have known about his COPD, the associated changed blood parameters and his wish to either die at home or in a hospice if home was not possible. They would also have known where to find his medications and whom to contact. 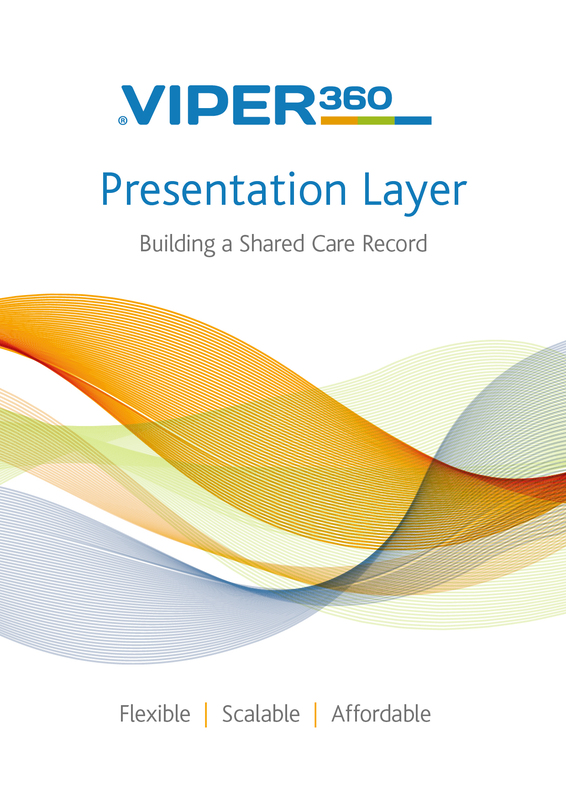 Viper360 Presentation layer respects the preferences of the patient, but also eliminates an unnecessary A&E visit in a busy hospital. I'm happy to receive marketing correspondence from ReStart Consulting (please keep ticked to receive the brochure download via email).